Flash forward a couple of years to Quang Ho. 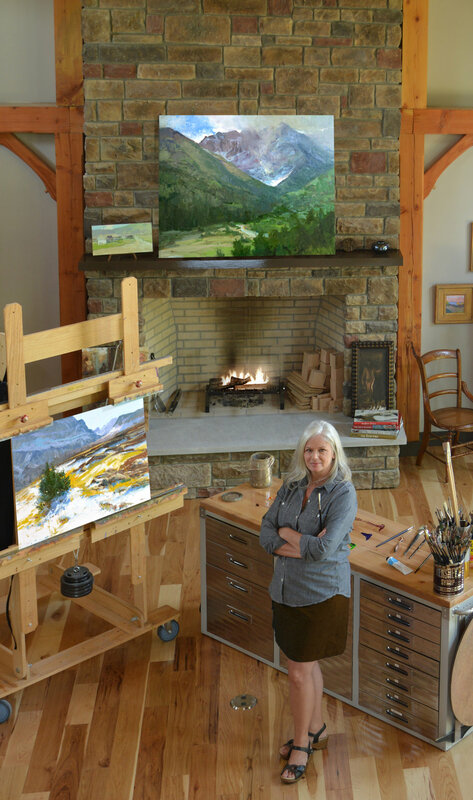 We first met at the Oil Painters of America National Exhibition in Fredericksburg, TX in 2007. It was my first time to be accepted, and Quang was the judge. Dawn Whitelaw has done everything and she is so interesting to get to know. If there was a book about Dawn and her husband, Clay, (co-owner of Richland Fine Art), it would certainly include chapters titled, "Being a Professional Table-Tennis Player," "Our Pizza Shop Years," "Teaching in University," "Famous Logos I Designed," and "Fun Trips in our Private Plane." During our travels together, little bits about her early married years come out in the most curious of conversations. She doesn't really talk about herself a lot, so when you get a little nibble, it is like taking a bite of the most delicious thing you have ever eaten. You want more, but that one tiny morsel is worth savoring and enjoying for a while. My favorite times with her are on the road, talking a mile-a-minute, and laughing hysterically together. No sitcom could ever be this funny. It's April Fool's Day, but this is no joke... today I am celebrating my 10th anniversary as a full-time painter! Rather than bragging about all of the wonderful opportunities, successes, and growth that I have experienced over the past 10 years, I would like to use this blog post to thank the people who have helped me along the way.